Home › Social Media › Snapchat and Advertising: Which brands or industries would benefit from partnering with Snapchat? 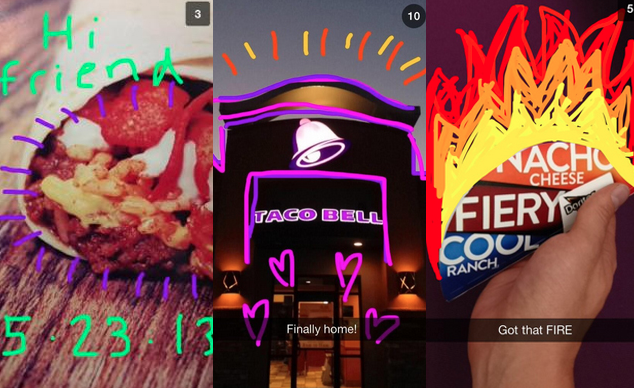 Snapchat and Advertising: Which brands or industries would benefit from partnering with Snapchat? The introduction of the Snapchat Story in early October 2013 was Snapchat’s way of easing into advertising and monetizing the app. Of the millions of app installs, the platform is speculated at having more than 200 million active monthly users (Business Insider). And as University of Texas sophomore @thatswattsup, author of the onpoint article about teenagers and social media trends, says in his post, if teenagers are actively using any social media app the most, it’s Snapchat. What is a Snapchat Story? 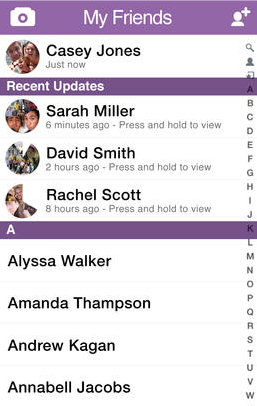 The Snapchat Story feature allows users to post videos and pictures they have recorded on their smartphones to their “Story,” or user profile. These Stories are posted for 24 hours, after which they expire. The Stories aren’t public, though. Only friends of the user may see their Story, and it “plays forward, because it makes sense to share moments in the order you experience them,” according to the Snapchat blog. With this in mind, it is as if the Snapchat Story is somewhat of a Snapchatter’s live microblog, which is then broadcast to other friends who have the option of watching it, should they choose. User’s don’t get an external notification on their smartphones if friends have posted Stories on the app, but receive notifications of “Recent Updates” (new Stories) every time they open their “My Friends” page. The trick about the Snapchat Story is that user’s friends don’t have to watch Stories if they don’t want to. But on the flipside, it’s almost guaranteed that if a user chooses to watch a friend’s Story, he/she is actively watching what the other person has posted. This is because the design of Snapchat, and it’s probable appeal to advertisers, demands that you press a finger to screen the entire time you watch a Snap or Story. If you lift your finger off of the screen while a Snap or Story is playing, the message disappears and expires in due time. Flashback to late 2013. Snapchat had yet to figure out a way to profit from its user base, and it’s not really so hard to imagine why. The bulk of Snapchat users were young Millennials and Generation Z’s, who downloaded the free app to send videos or embarrassing pictures to their friends. From this standpoint, the majority of the app’s largest user demographic probably didn’t have a driver’s permit, and those who did were still unlikely to be financially independent. Enter big brands who want to take advantage of the app’s growing popularity. Many companies began to establish their own Snapchat accounts–Taco Bell, McDonalds, the NBA, HBO, to name a few– as a way to post content on their Stories for their followers/friends to see. 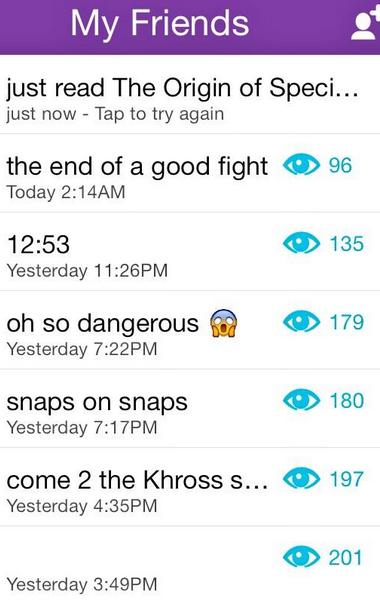 This is probably when Snapchat developers realized the massive amount of power and potential the Snapchat Story held. Users were willingly following brands who were pushing the boundaries of advertising by live blogging short films or hiring celebrities to post selfies on their channel. Who should advertise on Snapchat? With the price of Snapchat advertising so high, it’s unlikely that small brands would or should take on its cost. Taking the app’s demographic into highest consideration, many brands should probably think of themselves as unqualified as well. Snapchat users don’t have the capital to make major purchases, which is where luxury brands or the automobile industry wouldn’t realize a real impact from advertising with the app. Turbo Tax was recently featured in January 2015, but how many 16 year olds are filing W-2s, much less know what a W-2 is? No matter how flashy or interesting Turbo Tax could make a Snapchat story, it’s doubtful a single user considered purchasing the software. However, brands already aligned with the younger demographic, and Taco Bell is a perfect example of this, would likely see positive impact from a Snapchat campaign. The bottom line: Snapchat is limited to it’s user base, as is any other medium through which a brand chooses to advertise. Movies, music, fast food, and sports merchandise are most likely the largest benefactors of advertising with the Snapchat. Premium brands looking for high impact, meaning guaranteed eyes on their digital ad campaigns, would most likely benefit from placing their content on YouTube, where the cost is cheaper and the reach is wider.